ST. GABRIEL, La. - A Louisiana sheriff says a Baton Rouge television host who was shot to death by his alleged lover in his home faced unresolved decades-old child molestation charges in England. Scott Rogers was killed at his St. Gabriel home Wednesday afternoon. Investigators said his son-in-law, Mathew Hodgkinson, is suspected of shooting Rogers then turning the gun on himself. Hodgkinson was hospitalized, on life support, after the shooting. "It was determined that Scott Rogers was deceased and another male at the residence had received a shot to the head and was in critical condition," said Iberville Parish Sheriff Brett Stassi, according to CBS affiliate WAFB. Rogers' attorney told The Advocate that federal investigators were looking into whether Rogers submitted fraudulent naturalization and adoption paperwork. 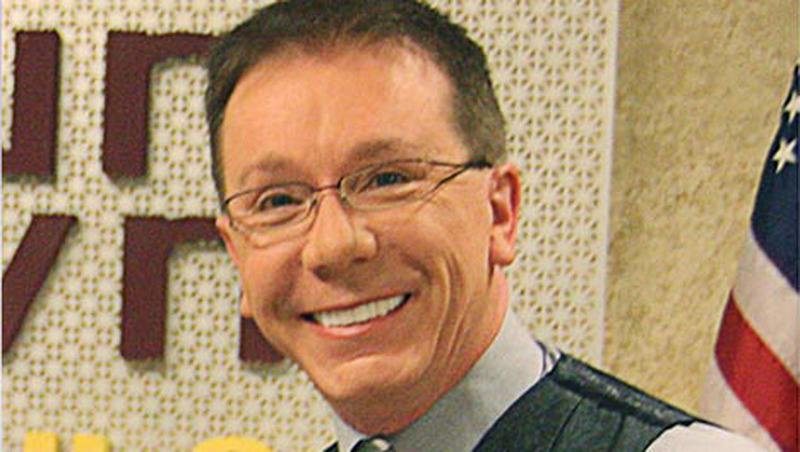 He fled from England to Texas in the mid-1990s, eventually settling down in the Baton Rouge area and building his reputation as a talk show host. Stassi described Rogers and Hodgkinson as lovers who met years ago. He said Hodgkinson was married to Rogers' daughter. Stassi said it was a sham marriage to prevent Hodgkinson from being deported to England. WAFB reports the sheriff said he had previously responded to calls at Rogers's home, which had been the scene of "a bunch of stress" in the past several weeks. "It's been topsy-turvy at this residence," Stassi said. "We responded to a couple of calls. It's been a high stress environment for this family and looks like it culminated in this." Rogers hosted "Around Town," a Baton Rouge-area talk show. Hodgkinson, who also served as the show's producer, left a voicemail message for WAFB Tuesday to say the show was being canceled, the station reports. According to WAFB, Rogers's attorney, Seth Dornier, confirmed that the television personality was in an ongoing legal battle but would not provide specifics. Sources told the station Rogers's daughter was testifying before a federal grand jury Wednesday in matters relating to her father.